This review originally ran on Dec. 23, 2014, timed to Selma’s limited release. Since then, as often happens with late-year movies in the Oscar conversation, it has been attacked for supposed historical inaccuracies. We are republishing David Edelstein’s original review as the film expands across the country this weekend. Additionally, Edelstein has written a lengthy addendum, which you can find below his original review, that addresses the historical accuracy debate. Martin Luther King Jr. had a dream, but Ava DuVernay’s moody, bruising civil-rights epic Selma makes it plain that if that were all he had, he wouldn’t have led his people across those bridges and up to that mountaintop. He also had to be a player. The film is about long-lived injustice, short-lived politics, and how to make the latter serve the former. It’s sensational in the open air and subtle in smaller, enclosed spaces. It has sweep and intimacy. And, yes, we need this movie now. The Oxford, England–born David Oyelowo plays King and is all you could want him to be. His MLK is foremost a public man, and truly public men talk, move, and think differently than the rest of us. Arriving in Birmingham in 1963, he does not use — like the other kind of king — the royal “we,” but he looks as if he bears the weight of millions of souls whenever he opens his mouth. It costs him, ages him. Oyelowo’s theater-trained voice is a thrilling instrument; it’s worthy of King’s rhetoric. But the reverberant manner makes King’s more earthly appetites — and he’s shown to have them, albeit discreetly — trickier to fit into his larger persona. He doesn’t fit them in: They exist in a separate sphere, unintegrated, which makes him seem frighteningly vulnerable to his wife (Carmen Ejogo) and anyone else who might hear avowed King-hater J. Edgar Hoover’s tapes of what seem to be the Nobel Peace Prize–winning, Reverend Dr. King’s unsaintly moans. Amazingly enough, the central relationship of Selma carries even more weight than the momentous events on the ground in Alabama. It’s between King and Lyndon B. Johnson, deftly played (without undue aping) by yet another Brit, Tom Wilkinson. This is Great Man history, history as a series of negotiations and tipping points. LBJ, it turns out, is sympathetic to King, but his agenda for the year is getting his Great Society legislation through the Congress. We know from Robert Caro’s biographies and LBJ’s riveting Oval Office tapes that the man was essentially a backroom Texas wheeler-dealer, not an orator, and here is King trying to drive him into the light, to make him a public man commensurate with his time and place. The nonviolent resistance — the beatings of peaceful protesters on television, the killings in sight of the media — was of course meant to stir the sentiments of white Americans. But Selma suggests its more immediate purpose was to push LBJ to stand up to the belligerently racist Governor George Wallace (Tim Roth, another Brit!) and say on national TV what no president had said before (or since? ): We shall overcome. The movie’s key scene dramatizes what many Americans (myself among them) have never fully grasped: that the measure of King’s greatness came not when he pushed forward but when he retreated. The march from Selma to Montgomery is meant to cross the Edmund Pettus Bridge, where a phalanx of police wait with eerie calm, having presumably learned the lesson not to beat people (now blacks and Northern whites) to a pulp in full view of cameras. We watch Oyelowo’s King stop and gaze and think, like a chess player visualizing all the different moves and countermoves. It is an anticlimax that is in ways that matter a stupendous climax. ­Nowadays, the people on the other side of the bridge are just as powerful, and more resourceful in reaching their base. This extraordinary film tells the rest of us: Stop, gaze, think. Selma has been playing in a small number of theaters since Christmas (it was high up on my ten-best list for 2014), but as it opens all over the U.S. this week, it’s largely being talked about for alleged historical inaccuracies. Hollywood gets history wrong? I know, shocking! In this case, though, the objections do have a sting. Joseph Califano, a former aide to President Lyndon Johnson (as well as secretary of health, education, and welfare under Jimmy Carter) charged in a Washington Post op-ed that the film turns the president into a backstabbing opponent of Martin Luther King’s long Alabama sojourn and march to Montgomery instead of a close and courageous ally. It even says that LBJ tacitly authorized J. Edgar Hoover’s dirty trick to destroy King’s marriage by playing Coretta Scott King a tape of a supposed King tryst. In the past week, I’ve reread parts of Robert Caro’s so-far four-part LBJ tome, along with Nick Katz’s Judgment Days: Lyndon Baines Johnson, Martin Luther King Jr., and the Laws That Changed America, Mark K. Updegrove’s oral biography Indomitable Will: LBJ in the Presidency, and listened to a couple of hours of amazing White House tapes, and I’m bound to conclude that, indeed, Selma is not entirely fair to LBJ. In the movie, the distortions are intended to make King and his allies seem more alone, more outside the mainstream, than they really were at this point. Director Ava DuVernay doesn’t show all the U.S. congressmen who traveled to Selma to visit King in jail. It also doesn’t suggest that, hard as it might be these days to believe, LBJ was also getting a ton of pressure to help King from the left of his party and even some moderate Republicans. (The Congress that was sworn in with him in ’65 was probably the most liberal in history.) It’s possible that when King turned back during the second attempt to cross the Edmund Pettus Bridge, it was partially the result of conversations with Johnson’s emissaries — a quid pro quo. 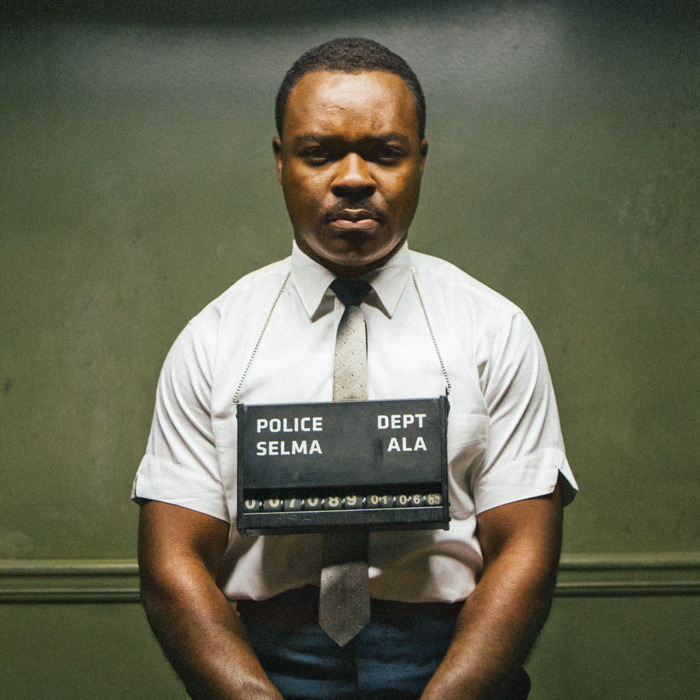 Does all this disqualify Selma as a great historical epic? No. It gets more right than any other civil-rights movie, and the scenes between King and LBJ remain fascinating for the way in which each titan attempts to manipulate the other. Furthermore, Califano didn’t even start working for LBJ until later in ’65! The point stands that both King and LBJ had their eyes on the prize but were always playing the long game. We can still learn a lot from them — and from this superb film.